Starting 04/18: Today Only! Easter Deals Hatching Daily Leggings women's, girls, toddler & baby girls $5. Restrictions apply. Ends 04/18. 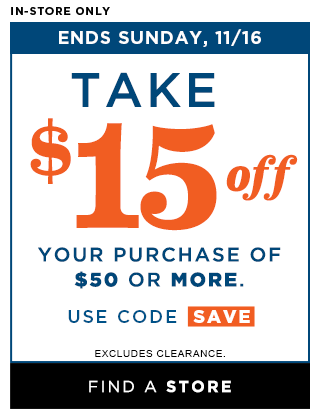 $5 Leggings: Offer valid 4/18/19 at Old Navy stores in the United States (including Puerto Rico) and at Old Navy online. Excludes Women's Plus in-store and Maternity. Select styles only. While supplies last. No adjustments on previous purchases. Cannot be combined with other offers or discounts, including Gap Inc. employee discount. These coupons and deals for Old Navy have expired but may still work. 30% off everything in-store and online. [In-Store ONLY] - [In-Store Only] Take $15 off any purchase of $50 or more. Use code : SAVE. 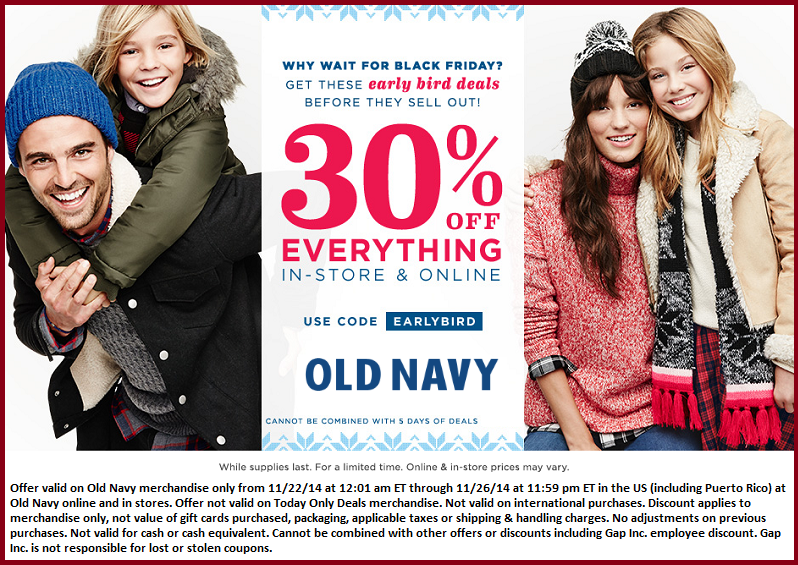 Old Navy is a popular cloting and accessories retailer owned by American corporation, Gap Inc. They specialize in cost conscious clothes for families, especially children.